On Wednesdays We Wear Masks. | By Millie. 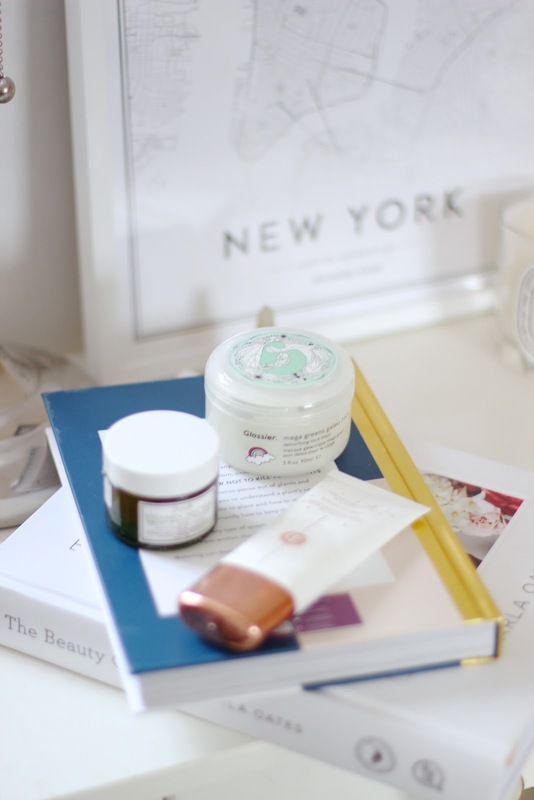 I'm hoping the title of this post isn't too creepy...but we're talking face masks in todays post, incase you couldn't already tell. I always allow myself a a couple of evenings a week to slap on a face mask and give my skin a little bit of a treat. If I worked in the city, two nights would probably turn into five, buuut I don't, so two suits me fine. I think so many people think you can only use masks once a week otherwise they will strip the skin blah blah blah. Personally, I don't think that's true at all, as long as you don't totally overdo it, your skin will thank you. Lately I've been doing a bit of multi-masking, which basically means I can target different problem areas of my skin in one quick mask session. The great thing about this technique is you can completely tailor it to your skin type. My preferred face mask map around the face is a detoxifying formula on my nose and chin, and a hydrating mask on the rest! It works really well for me and it saves time. So I mentioned I like to use a detoxifying mask through my t-zone. I recently picked up the Glossier Mega Green Galaxy Pack which is an amazing deep cleansing mask. This is the newest mask to my collection, but I can already tell after a few uses that it's going to be very well loved. Moving onto something more moistening and brightening. The Fresh Vitamin Necter Face Mask would be a fab one to use in the morning. Alas, I don't have the time, but smothering my skin in it in the evenings works just as well. It has such a lovely fresh scent, not too overpowering which I like. It also has a lot of bits in...lemon and orange fruit extracts to be more exact...these help to make my skin feel really revived, brightened and super glowy. I have yet to try a face mask from Fresh that I haven't liked. They're just so gosh darn pricey! 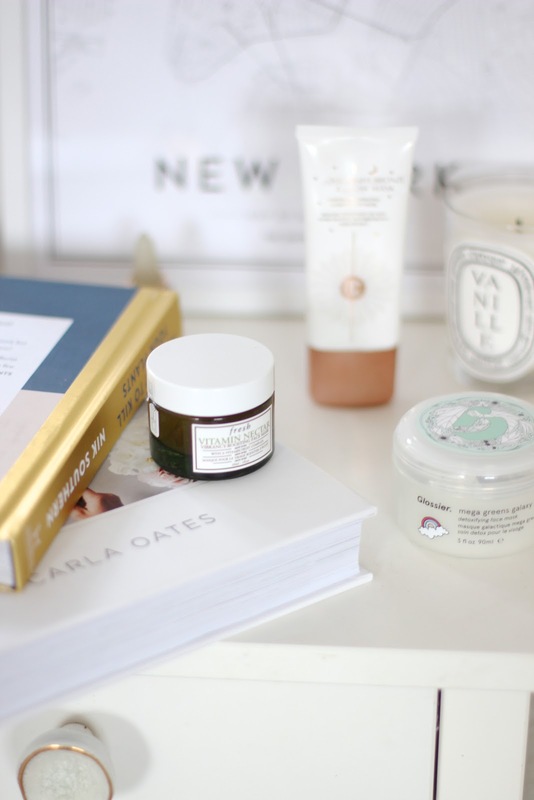 Another hydrating face mask which is aaaamazing is the Glow Recipe Watermelon Overnight Mask. I completely forgot I even had this when I was getting this blog post together. It was hiding in a drawer! So, even though I haven't photographed that, it's the bees knees for reviving dehydrated skin. If you like the sound of that, I'll link up a post here for you where I talk more about that little beauty. Onto the last mask now, and I thought I'd add in one which anybody can use, no matter your skin type. Over the Winter months, I came to realisation that none of my foundations I liked to wear actually matched my skin. And although I basically live in turtle necks and big scarves, I still want my bases to semi-match pale skin, so I purchased the Charlotte Tilbury Overnight Bronzing Mask. I really like this, but it's not something you want to overdo. I take around a 20p sized amount for my face, and then a little bit more for my neck to help things match up. It leaves my skin looking so healthy, and ever so slightly bronzed the next day. It's a winner for low-key makeup days, which is me Monday - Friday. The scent isn't too bad either, it is a tanning product essentially, so it does smell ever so slightly chemically. If your skin is sensitive to that, I'd maybe give this one a miss.